Dr. Clark Hung was invited to speak at Queen Mary University of London and Imperial College London. Hosted by Drs. 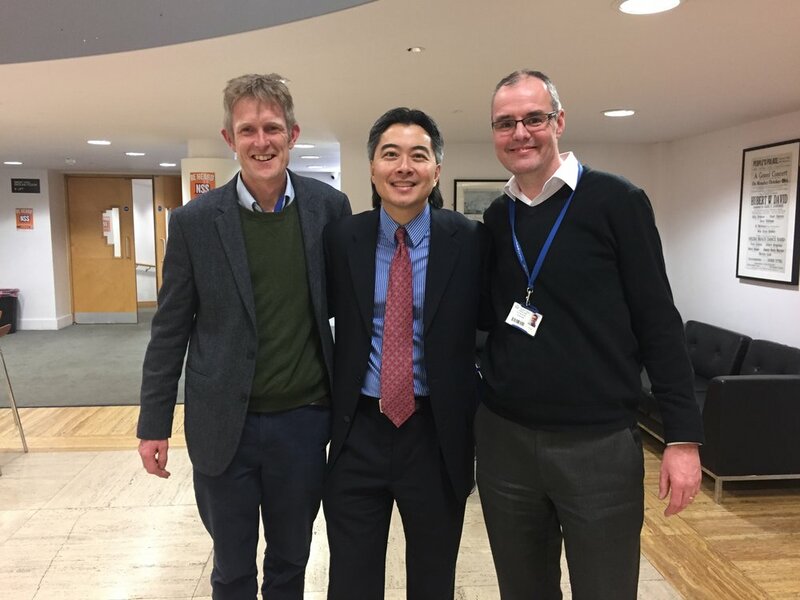 Martin Knight (Professor of Mechanobiology) and David Lee (Professor of Cell and Tissue Engineering and Dean for Research) at Queen Mary University of London, Dr. Hung shared recent findings in engineering cartilage using cells from expired human donor grafts. He also discussed new strategies for cartilage repair including the use of a novel dexamethasone delivery system and electrotherapeutics. Furthermore, as osteoarthritis is believed to be a disease of the entire joint, additional focus was spent on in vitro disease models involving engineered synovium and parameters that modulate the injury response.